Hitting the trails and looking to add some additional front bumper clearance? 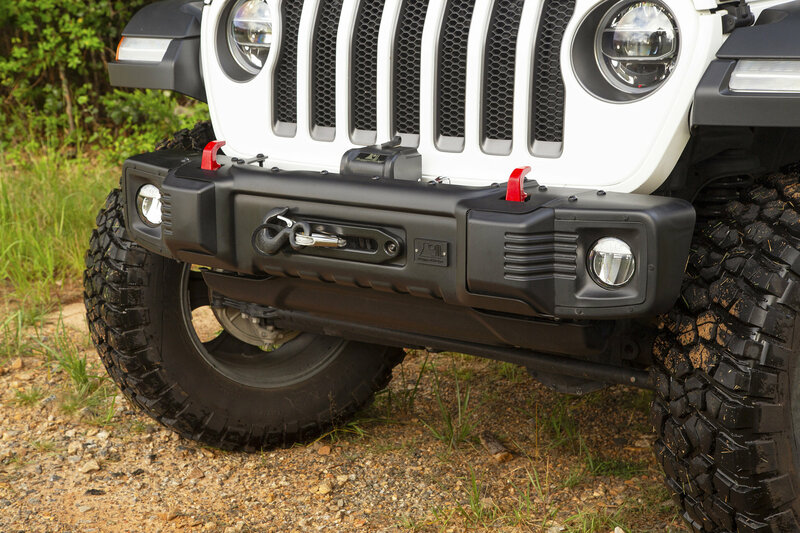 Upgrade your Jeep Wrangler JL with the Spartacus Stubby Front Bumper by Rugged Ridge. Constructed from an 11 gauge stamped steel and finished with a satin black powder-coat. 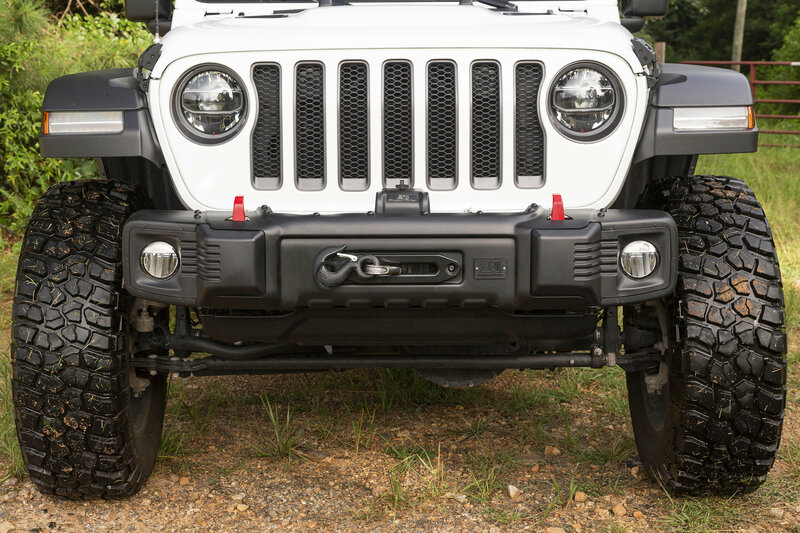 Giving the bumper strength, smooth curves, and durability you expect for your JL. Offering accommodations for the factory tow hooks and fog lights. Winch capable offering a winch plate part #11543.16 sold separately. Built to Endure: Made from an 11 gauge stamped steel construction giving you strength and a sleek design. Powder-coated satin black finish will protect the steel from the elements giving you a strong durable finish. Winch Capable: Bolt on winch mounting plate is available separate to get you out of a bind. High Clearance Design: Offering a stubby width allowing more clearance in front of your flares to climb those larger obstacles. Purchased this around 11/2/2018 and installed it on 11/9/2018. I'll put this review together based on the install and my experience with the install. The good - Looks great. It looked better in person than the pictures showed. The install of the bumper (and winch plate) was really easy. It took me about 6 hours from start to finish and that included the bumper, winch and winch plate. The bumper itself would probably be about 3 hours for someone with average mechanical skills, and most of that is pulling the factory bumper apart for the fog lights and tow hooks. The bad - It's not as heavy duty as I originally thought. It's going to be great for my wife's jeep as her daily driver, but I would not use this if you're looking for serious off-road. The fog light harness has to be removed from the factory bumper and there is really no way to "attach" the harness to the rugged ridge bumper. You have to carefully tuck the harness in while putting the bumper on. Not a big deal, just a little annoying. All in all, this is a good bumper and an easy install.